These Fully Equipped Holiday Home is a great place to Rest, very Peaceful, with a Spacious Bedrooms and Living room with Local Cable TV and DVD player. Two Large Comfortable Sofas being sofa beds for 2 (if needed). Dining Area with large Glass table and 10 chairs. Fully Equipped Kitchen with all appliances, including dishwasher, and adjacent laundry with washing machine. Upstairs there is a playroom with pool table, Free WiFi internet access a sofa-bed ,comfortable room for reading with breathtaking view over Ponta do Sol. Sea and also mountain view. 3 bedrooms, The main Bedroom contains its own Private Bathroom. Th villa contains another 2 bathrooms, one with bath. Large Banana plantation around the Villa. It is 5 minutes from the centre of Ponta do Sol. All this just for You ! Ponta do Sol- The Sunniest and Warmest town on the Island of Madeira. Ponta do Sol is located on the south coast of Madeira Island ,known for best climate and sunniest spot on the island, and that’s where it gets its name, sunny point. The town of Ponta do Sol with its old recovered buildings, in a maze of streets and cosy retreats has a touch of romanticism .A quiet and pretty little village shoe- horned into the folds of a steep valley overhung with dense banana plantation, with a relaxed and lively air .The village of Ponta do Sol is one of the most picturesque on the island of Madeira. Sunsets are incredibly beautiful here. Located in Lugar de Baixo, Ponta do Sol, on the south coast, at a mean altitude of 40 meters (131ft ) lies the subtropical floriculture center. A 2 hectares in area , scattered with several terraces , and is the ideal place to grow and study tropical plants such as, slipperwort, anthurium, cymbidium, sugar loaf, protea ,birds of paradise and much more. Lugar de Baixo is listed as one of the most reputed surfing areas in Madeira. Levada Walks in Madeira: The unique Madeira Island Levada Walks & Hikes are simply exhilarating and superb Walks. Levadas are water channels that run through the mountains, with narrow paths alongside the levadas, for the workers to maintain the levadas.The Madeira Island Levadas walks are easily followed as levadas wind around the hillsides. Sometimes levada walks pass through small tunnels and a torch may be necessary. Madeira Levada Walks and hikes allow you to explore most of the island on your holiday. The island of Madeira, with its spectacular scenery and tranquillity, is a heaven for Levada Walking and nature-lovers. Its a green subtropical paradise of volcanic origin. Few walking destinations offer such variety with picturesque villages, rugged peaks, alpine plateaus, waterfalls and gorges, verdant valleys, orchards full of cherries, bananas and other fruit, wild flowers in abundance and an unspoilt coastline with towering sea cliffs. You can enjoy your Madeira levada walks and Hikes all year round. A hair dryer and toilet paper is provided. Two Large Comfortable Sofas being sofa beds for 2 (if needed) Smoking is permitted on the Balconies Only. Electric Heaters are available for chilly winter evenings. There is Free Wi-Fi internet access in the Villa. Nice big house, plenty of room. In a nice location, not to far from the shops by car. We have a good time. 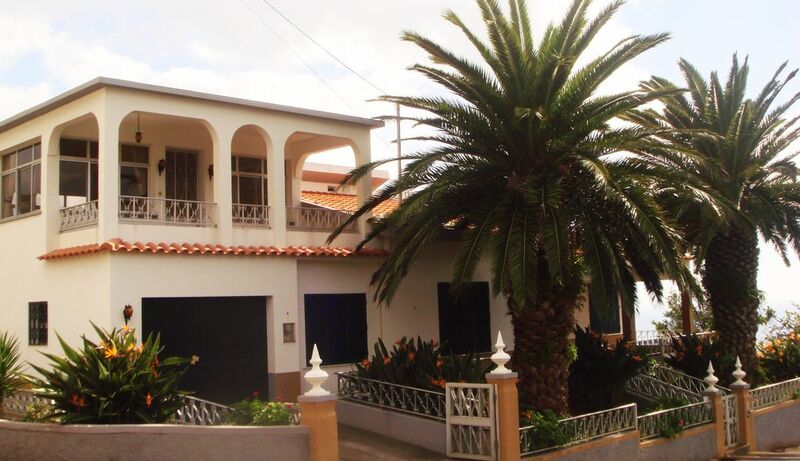 Big and spacious villa with almost countless terraces and balconies offering a great view of the ocean, the mountains, and the banana plantations around the house. Ponta do Sol is a small, quiet town that has everything one could need and yet offers peaceful atmosphere to rest from the busy life in cities like Funchal. The owners are friendly people who gave us all information needed and getting in contact during our stay was no problem. I would recommend this villa especially for bigger families or groups. Fully equipped and huge house offering a nice view. Near to Ponta do Sol by car. Nice to know you enjoyed your stay in our Villa. Fantastic view, very spacious and confortable house. The Villa is located in Ponta do Sol, a quiet, Peaceful Warm Sunny village on the island Madeira. The Village of Ponta do Sol has its own Beach , which is located 2 kilometre from the Villa. The neighouring village Calheta has a sandy Beach. Villa-do-Sol is located 12km from 'Paul da Serra' an ideal place for hiking and Levada walks. Ponta do Sol is also about 20 minutes from Funchal and about 35 minutes from the airport. The Madeira Villa is situated 5 minutes from Ponta do Sol Village, within easy reach of beach and restaurants. Golf: Palheiro Golf is situated 25km from the Villa. Palheiro Golf Course with magnificent views overlooking Funchal and bay and is set within the stunning 200 year old Palheiro Estate. The 18-hole par 72 course was designed by Cabell Robinson and opened in 1993. The Santo da Serra golf course is also within easy reach. Looking over the bay of Machico lies the Santo da Serra Golf Club with spectacular 27 hole golf course in one of the most beautiful landscapes that nature may offer.